For many of us, parsley has been the first herb we’ve encountered: it’s the green thingy our mothers sneakily sprinkled on potatoes. It was a very wise thing to do. Parsley is a good source of iron, rich in vitamins and rich in flavour. 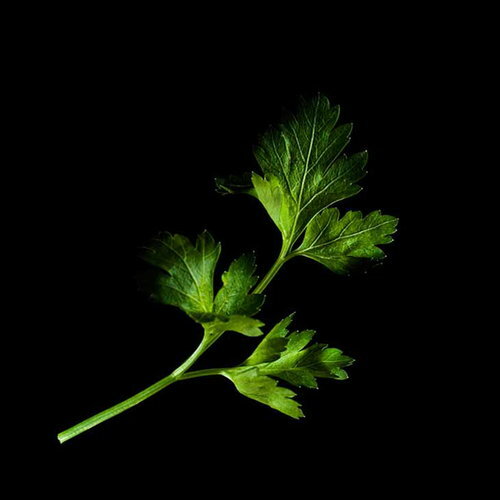 Parsley has its origins in the Mediterranean region. The botanical name probably comes from the Greek word ‘petra’ or ‘petro’ meaning stone. The plant thrived on the stony hills. The Greeks didn’t use parsley in the kitchen though. On the one hand it was associated with death and burials, on the other hand, it was used in wreaths to honour the winners of sports games. People have also found many uses for parsley in folk medicine. Digestive and urinary problems have been eased, toothaches treated, kidney stone troubles soothed. Today, both flatleaf and curly leaf parsley are widely used in European and Mediterranean cuisine. 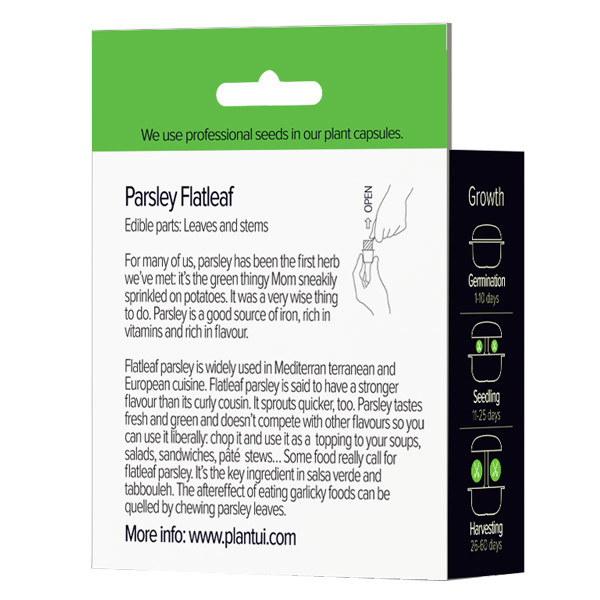 The friends of flatleaf parsley say it has a stronger flavour. It has another advantage too: it sprouts quicker than its curly cousin. 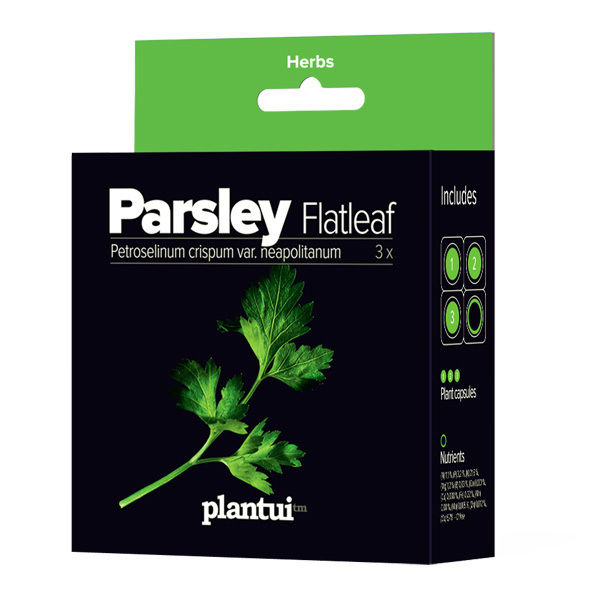 Flatleaf parsley tastes fresh and green and does not compete with other flavours. That’s why you can use it quite liberally: chop it and use it as a topping to your soups, salads, sandwiches, pâté, stews or whisk it together with veggies and fruits or into a healthy smoothie. Some food really calls for flatleaf parsley. It’s the key ingredient in salsa verde and tabbouleh salad. The aftereffect of eating garlicky foods can be quelled by chewing parsley leaves.